When I asked the Traveler team to include a MRA membership form in this edition, I took some time and reflected on what the Traveler means to me. The Traveler has been an amazing communication tool for MRA to communicate with the town, keep history alive, and even share our favorite drink recipes. My question is: Do our readers know that the Traveler staff is a team of MRA volunteers who work diligently year round on the publication? The Traveler is underwritten by MRA at a net loss of $900 per edition, even after advertisements. The Traveler educates members of the community about MRA events. For example, MRA just held its 52nd Candlelight Tour which is also organized by a team of MRA volunteers who work enthusiastically to put together one of the most magical days of the year in Marietta. 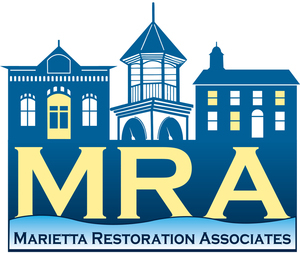 This year Marietta hosted 1500 guests into the 8 homes and the beautiful buildings which MRA preserves. This year’s tour grossed $24,089 for MRA. This money will be used for the first phase of new sidewalk at the Union Meeting House which is costing MRA over $40,000. Not only did MRA profit from this extraordinary event, our local businesses had the opportunity to host new guests. I am a proud “Mariettan” and believe in what our community is doing to keep the Marietta spirit alive. I believe in MRA’s dedication to resurrecting the Traveler and mailing it to every resident in the 17547 and 17550 area codes. So many different segments in our town benefit from the voice of the Traveler and we hope that if you have information to share or a story to write you contact the Traveler staff. We were proud to find that the survey conducted by ourmarietta.com found the Traveler to be Marietta’s number one source of town news. On behalf of the MRA board, I thank you for being a part of our great community and I ask that you and your family consider becoming members of MRA. Your donation will go towards the restoration and maintenance of buildings, the publication of the Traveler, and will support all of the individuals who dedicate their time to MRA. 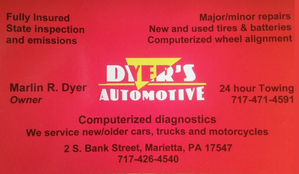 As a member you will receive an amazing discount card to local businesses. Looking forward to warmer weather and seeing everyone out and about in OUR TOWN.